That's right, I'm going to the International Make-up Artist Trade Show in Sydney which is on 24 & 25 September. Not only that, I'm also participating in The Australian Beauty Bloggers Weekend organised by super blogger extraordinaires Kimmi from The Plastic Diaries and Jacie from You've Got Nail. Basically a whole bunch of us beauty bloggers from all over Australia are going to descend on IMATS at Darling Harbour, I hope the Convention Centre can handle us all! .....and how do I feel about all this? Yes that's right, just a little bit excited! 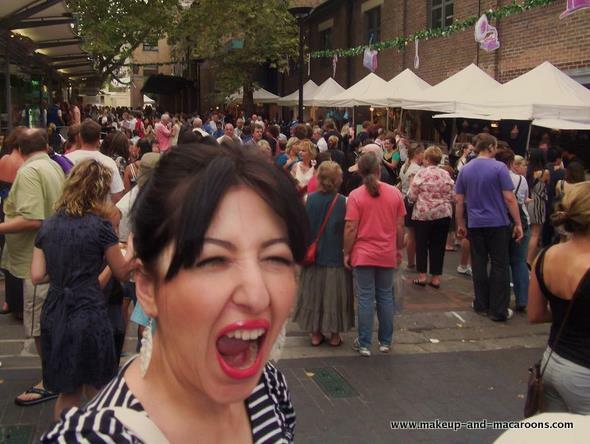 Please note this photo of me looking mighty excited is actually taken at the Rock Markets by Moonlight... the reason for my excitement? HERE is the original post to find out. "The International Make-Up Artist Trade Show is the make-up world’s biggest gathering. Thousands of make-up artists, vendors and enthusiasts discuss, display and collect the best the industry has to offer. Make-up pros from fashion and film (including Oscar, BAFTA and Saturn award winners) provide education and demonstrations at IMATS, and new products often debut there. " 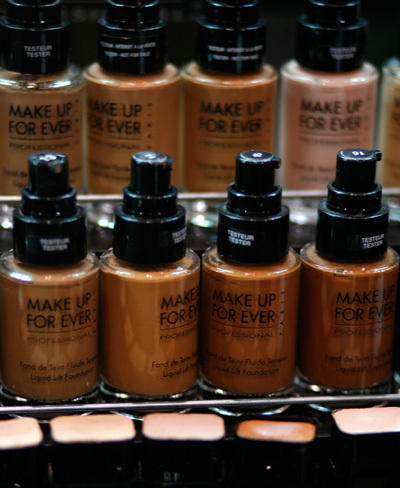 You don't have to be a makeup artist to go to IMATS, you just need to love makeup! Not only that, there will also be makeup demonstrations and keynote speakers like Napoleon Perdis and Rae Morris. I will be there on both days, so if you end up going and see me around make sure you come say hello. 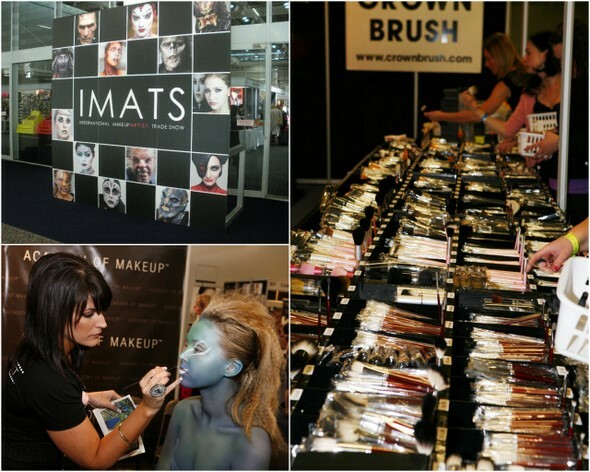 Will you be going to IMATS? Have you ever been? How fun! Hope you find lots of goodies there. $40 for 1 day is quite pricey. I didn't go to the IMATs close to me this year because I didn't feel like I knew enough to warrant the drive of the expense....or the complaining from my boyfriend who would have had to attend with me. NEXT year though. Going. D< FOR SURE! Cincly - are you going? I think it's going to be amazing especially the chance to meet all these other wonderful bloggers. Kristie - I think you can get some goods at a really cheap price so if you do enough hauling (which I prob will!) then it can makeup for the $40. Eden - next year you need to leave the boyfriend at home and take a girlfriend with you. I think it will be amazing! Wouldn't miss it! I agree, can't wait to meet some of the awesome aussie bloggers! It's going to be brilliant, Kimmi and Jacie have put so much effort in. I've been to IMATS London a couple of times which was amazing! I might still go to IMATS Sydney though too since I'll be over there by then! Wish I could have been part of the beauty bloggers event..that sounds like it will be so much fun! Ahalya - well you had a good excuse for it, your trip to Sri Lanka sounds great and you can't beat catching up with family. Maybe next years IMATS you can come. Cincly - yeay, would be good to meet! It's going to be an awesome day! Heather - I hope you can make it to the Syd IMATS, I'd love to meet you! This is awesome! You are so lucky! Wow lucky you! I've been wanting to go to an IMATS since years ago but never had the chance to. Maybe next year I'll try! i didn't register for ABBW on time and will so miss it ..
You like haloumi cheese??? It was created where I was born, Cyprus :))) Cool, now I like you even more, hahaha. Sounds exciting, never been to the IMATS!! I'm going to ABBW and IMATS! So excited!